The huge amount of rain, coupled with snow this weekend has meant not a lot has happened outside. 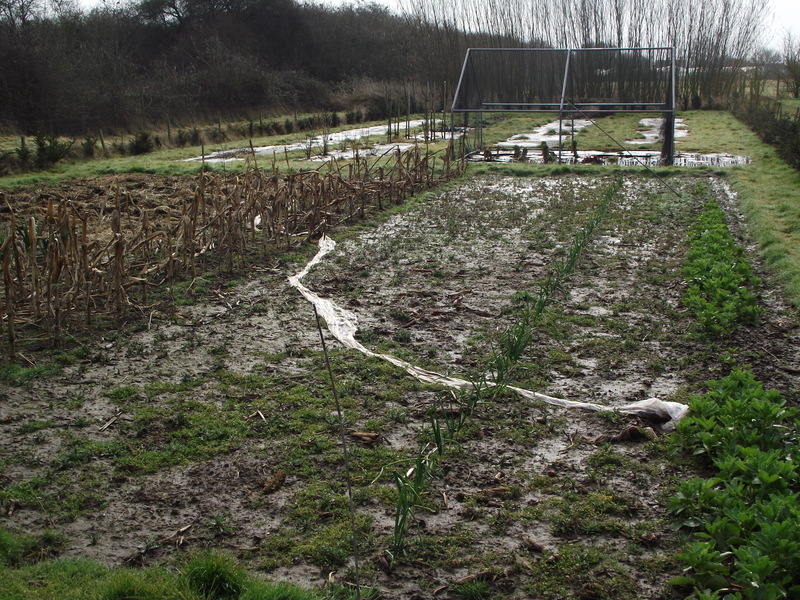 Above is a view of the allotment field – the winter onions and the winter planted broad beans are coming on – although some what set back now because of the lack of warmth and sun. I am very glad to have at least got these in – so I have at least some crops growing currently. Normally I would have expected to have planted more broad beans, and more onion sets by now – and be preparing for peas to go out – but the really cold wet crap weather has stopped that. Things are looking better though – so hoping to get these lines weeded, and the field dug for more onions/beans to be planted this weekend. 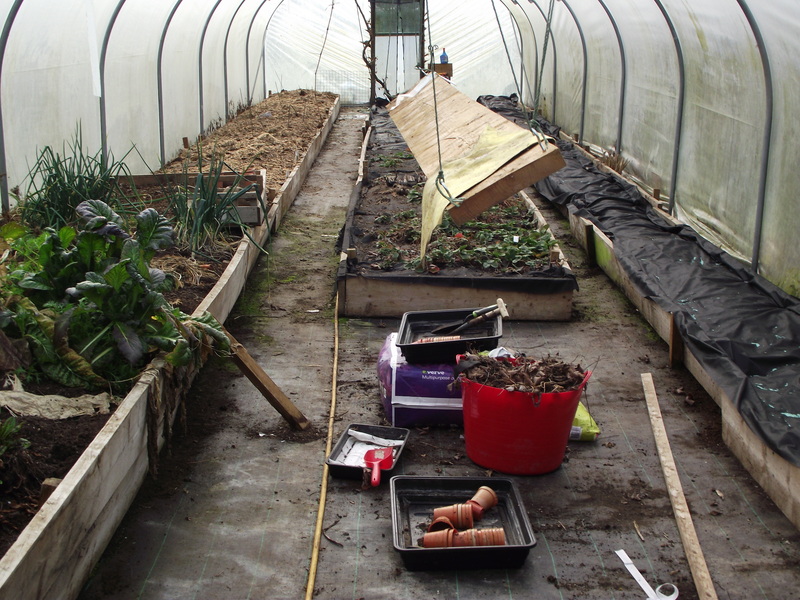 The white line is the plastic covering used over the germinating beans – Its been too wet to remove it (It would cause too much damage to the soil to walk over it in the wet state it is). You can see at the back the Sprouts and Purple Sprouting have been drowned by the water. Another waste of effort. It looks a bit of a mess, but it had been cleared out – we suffered a water leak, so it’s all a bit wet. The strawberry plants saved from last years runners have been planted in the middle bed. A cover has been put over the long bed to the right – and a single, this year, line of early peas planted. I have reduced from 2 to 1 the rows of peas in an effort to get more productivity out of fewer plants, last year I felt they crowded each other out. I am still looking for at least two crops this year. On the left I have extended the potato bed to right down the whole side. I have planted about 30+ various potatoes, and then covered them with the Goose poo and shavings from their stall floor. I am not planting potatoes outside this year for the first time, every year here they have got blight. There is only a certain number of times hope can win over experience, and this year isn’t one of them. We have 30+ tomatoes growing on presently (not shown), they will be going outside, except perhaps a few for early fruit. 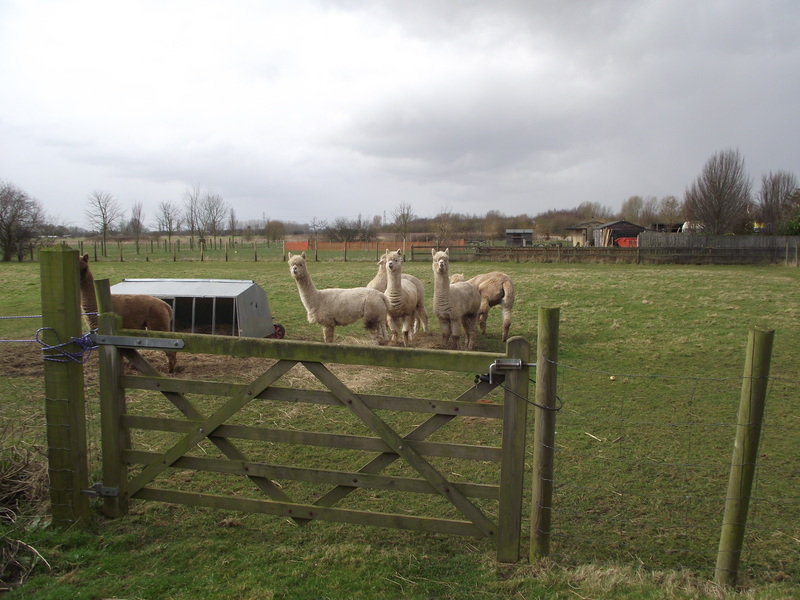 This is the Alpacas having a hay party last Saturday. They were all sitting down and I crept out with the camera, only for them to jump up and glare at me! And this was Sunday. My how the weather changed. They didn’t jump up this time!! We have had to get some more hay in as the Winter seems to be lasting a little longer than usual. 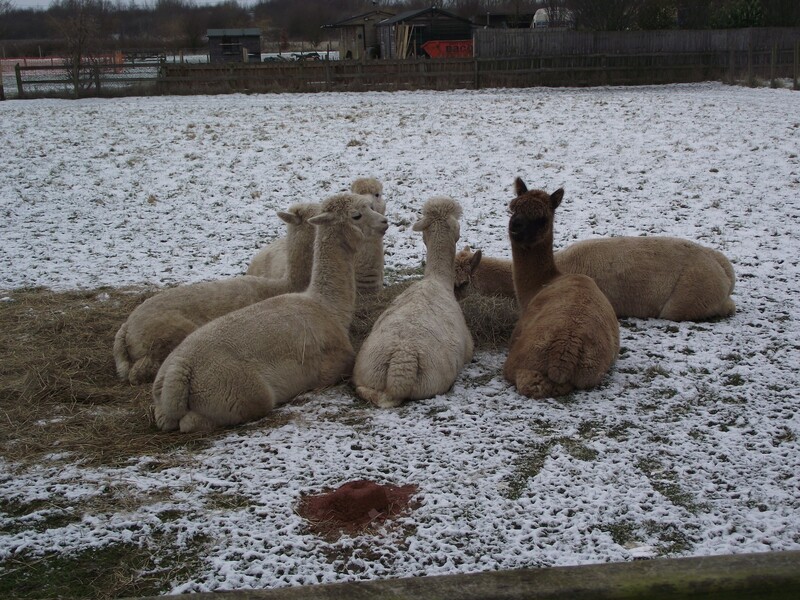 There pretty warm however in their thick coats – we just need to feed them more in the cold. 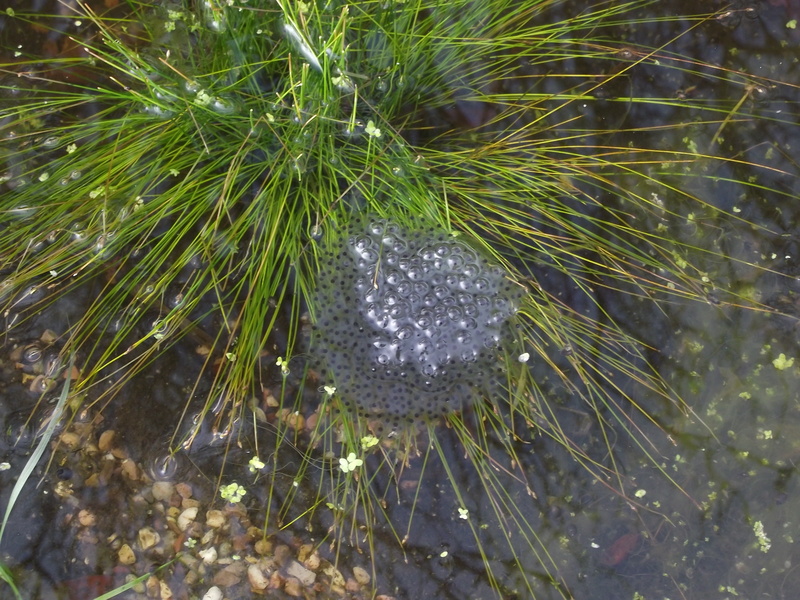 The previous couple of days had been very warm – the frogs were making whoopy and this was the first of several large groups of frog spawn. I hope the freezing few days haven’t killed it off. I am so chuffed that in a pond not even a year old we have all this going on! 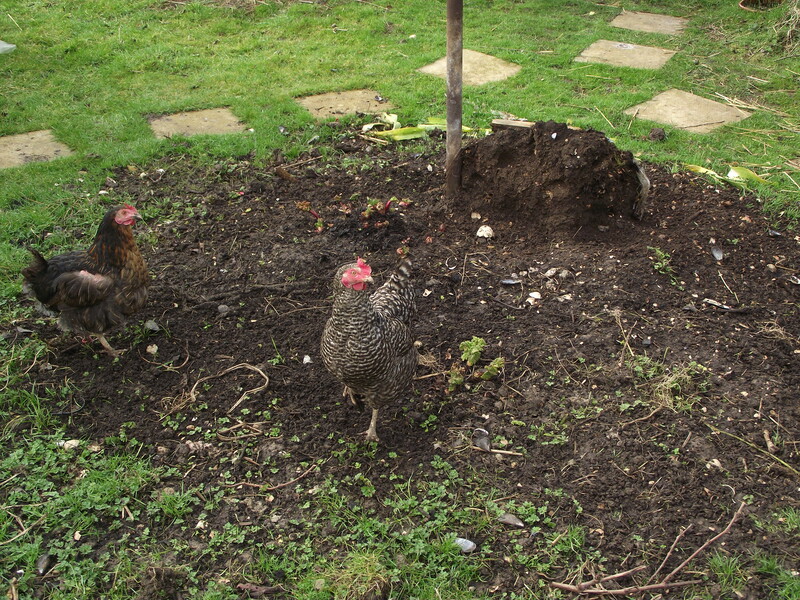 These are a couple of the chickens raking up the compost heap we replanted the Rhubarb into. Rosie to the left has a tumour on her backside – whilst she still has a quality of life (she still beats all the others to food) we will continue to look after. As you can see she is popular with the cockerel (her feathers are being ‘worn’ off – if it gets worse we have a jacket for her to wear). So not a lot happening, but a lot of stuff coming up. Easter will be about fencing – two areas need replacing, which we couldn’t do last year because of the need to replace the edge fencing. Good luck over Easter. I am impressed with your painting and your dedication and persistence (at least compared to mine!!). I have been painting up Americans for 1944+ in 20mm for Battlegroup. The friday lads (me, Phil and Ian) have been saving up for the rules and plan to play a game in the next few weeks. i will let you know how it goes.